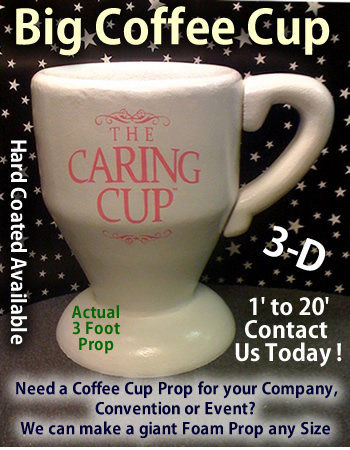 Custom Made Big Coffee Cup - Dino Rentos Studios, INC.
Cantact us to make your custom foam coffee cup or tea Cup prop. Any size, any shape, any color. Have a custom logo on the cup and optional foam hard coating shell to protect the prop. Great for retail displays or as a theming element.